In fact, nerdiness is a state of mind for some, and you can include Lancashire library officer Victoria Todd among those. Victoria, from Leyland, is one of the prime movers behind Preston’s Harris Museum and Art Gallery-based Talk Nerdy 2 Me event, the follow-up to last year’s … erm, Talk Nerdy To Me, surprisingly enough. First time around, it drew somewhere up to 1,000 people to this historic setting. And there are hopes that even more may show up this time. The event is being run by Victoria and fellow Harris Library staff, in conjunction with the Hijack the Library youth forum, ‘a small group of focused individuals who have a passion to engage more young people with libraries and make it a venue accessible to everyone’. And in a week’s time, Victoria will quite possibly be jumping up and down in the chair at the thought of an unconventional convention designed to celebrate all kinds of nerdiness. 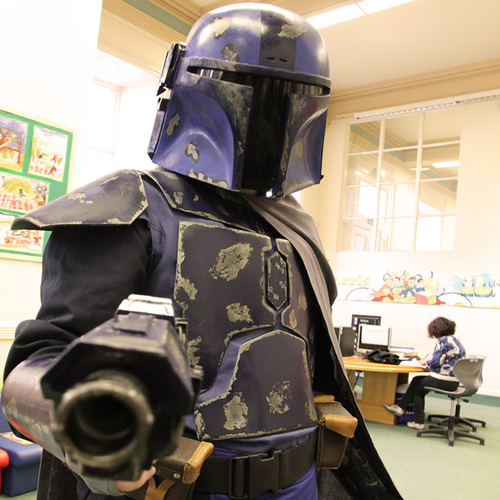 From Doctor Who to dressmaking and from Star Wars to superheroes, anything and everything you can get nerdy about will be going on at the Harris library. Costumes are encouraged too, the best outfits liable for prizes in a competition judged by Costume and Play’s Siriusly Cosplay. But isn’t being a nerd something Victoria and her team should be whispering about rather than shouting from the rooftops of Market Square? So what’s changed to make nerdiness cool after all these years? Or has that always – secretly – been the case? “I think all nerds have always found what they love to be cool. But just more recently people have been getting more into it, probably with the expansion of the internet. “Back in the ‘80s it was all a little more secret and you had to join magazines to write fan fiction. It was all a bit more cloak and dagger. Now everyone can be nerdy about everything, and more importantly find others nerdy about things. Have I got it all wrong then? I had it in mind that the average nerd tends not to leave the house, happier at home with a Star Wars DVD boxset, a highly-prized Marvel comic collection and improving their scores on the X-box rather than being social. Am I wrong? “Erm … no. A lot of us nerds do like to stay at home with our boxsets, but I think there’s more of a culture now for getting out and meeting other people. “And people can be nerdy about anything and everything. That’s what we’ve been finding since we started Talk Nerdy To Me. “For example, this year Deborah Simms is coming, a contestant on The Great British Sewing Bee. And I for one am a complete nerd about sewing. I’ve got all the books, read all the blogs, have all the equipment. Sewing’s certainly not something I would have thought of on that list. We’re clearly talking a broad church here. “Absolutely, and last year Kate McMahon, one of our fantastic Hijackers (from the Hijack the Library youth forum) came dressed as Tinker Bell and was telling everyone how wonderful Disney was. That was what made us think it can be a bit wider than just sci-fi and fantasy. 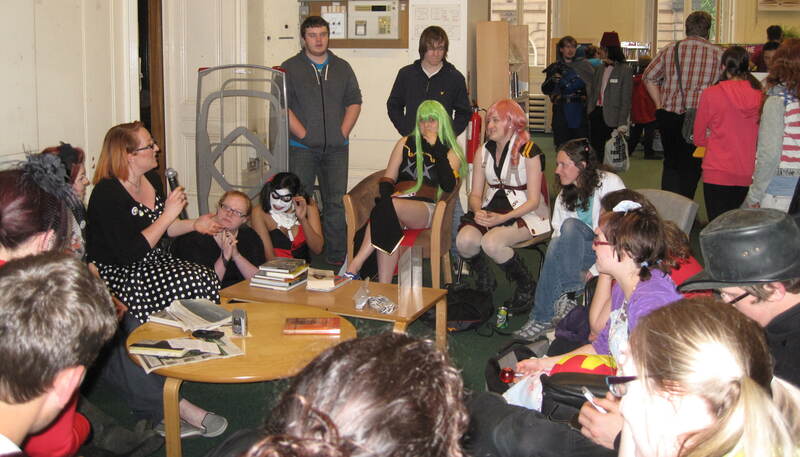 Comic Con events seem to be big news these days, and as well as larger events in Manchester and London there have been those nearby, like one at Preston Guild Hall last year. Is Talk Nerdy 2 Me competing with them, or complementing them? And why should Comic Con fans come to their event too? “Because ours is free! And we’re branding it as a Nerdy Con rather than a Comic Con, as it’s not just about comic books. “We are promoting our graphic novels and do have a lot around the comic book scene, but it’s not just about that. We’re trying to appeal to as broad a range of people as possible. 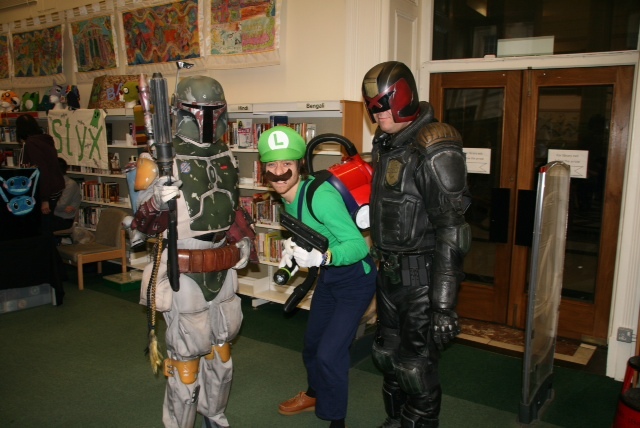 “We also support Preston Comic Con … although we were there first! And Blackpool has its own in September, their first too. “Interestingly, we were approached by Deafway when we started promoting the event, saying this kind of event isn’t usually something deaf people get the opportunity to go along to. “Now we’ve managed to get two British Sign Language interpreters along to interpret all the talks. That way we can promote the event to the deaf community in Preston as well. 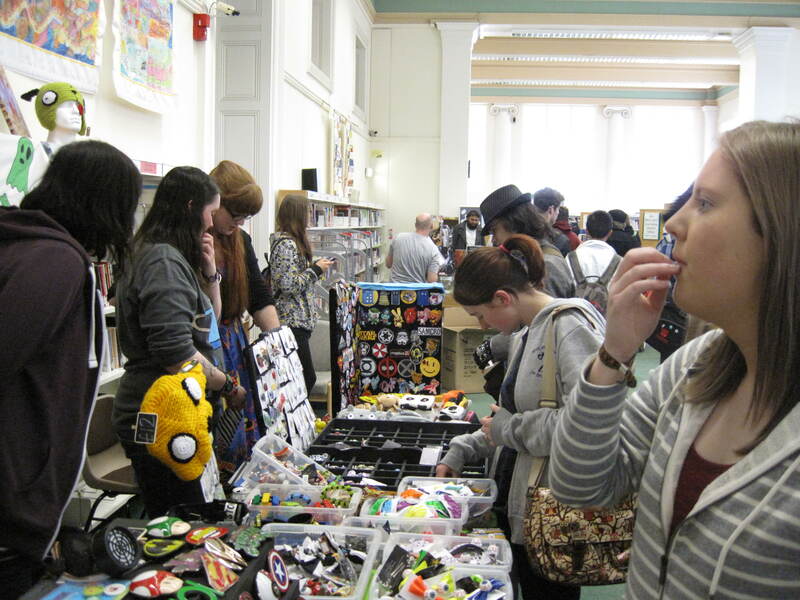 The original event was set up by University of Central Lancashire students Jessica Senior and Gary Cartwright, as part of a brief to come up with an event to inspire more interest in libraries. Are Jess and Gary involved this year? 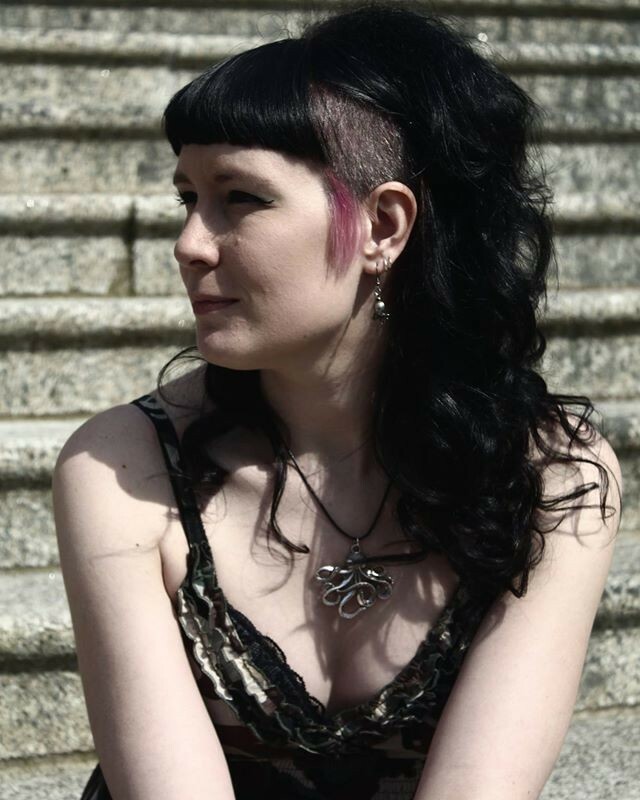 Victoria was first brought in by Dr Helen Day, her Master of Arts Writing for Children course leader and UCLan’s senior lecturer in English literature. It was all part of the UCLan Literature Live initiative, Helen – who was also my MA course leader and has a similar passion for books as Victoria, I might add – wanting at least one project to involve libraries. There were impressive attendance figures for that initial event. “Yes, between 600 and 1,000 according to the door-counters, and that purely from promoting around the university and via our facebook page. “I just hope it can be as good again this year, and I’m really excited about having BSL interpreters involved. The event involves a 4pm until 9pm slot. Is the idea primarily to get people straight from school, college and lectures? “Pretty much, and we intend to advertise around schools this week. It’s a completely family-friendly event and all the vendors and speakers have been told that. The only one that perhaps isn’t is our 8pm talk on horror films. “We were surprised last year how many families came along, especially parents with young kids dressed up for the occasion. We had some fantastic costumes. What will Victoria be most interested in on the day? I’m guessing it may be Timelord-related for this Dr Who fan. Perhaps they’ve regenerated one too many times. So has Victoria already decided on her costume, or at least her personal theme for the day? “I will be wearing a t-shirt with Talk Nerdy 2 Me on it as part of the crew, although some of the staff have revolted, insisting on coming in costume. It’s fair to say Victoria – a gifted writer in her own right – is in the right job, her passion for young adult fiction and all things nerdy rewarded daily and at events like this. The former Wellfield High School, Runshaw College and UCLan student has worked for six years with Lancashire Libraries, the last two at the Harris, and prior to that – before a spell at Edge Hill University – at her hometown library in Leyland. And if this event can help bring a few more people through the doors of the Harris library and others in the area, she’ll be more than happy. “We just want to show off the range of what we do. When I speak to people who are not library members, they don’t always realise what we offer. “At last year’s event, some of those that came said they didn’t know we had graphic novels. We’ve got hundreds, and lots of Manga books as well. “We do all sorts of great things here, and this is a good excuse to get people in and show them. Perhaps we’ll get someone along dressed as Spiderman and listening to a talk on horror films that didn’t know we had a family history group, for example. “We want to lose that misconception that it’s all about books. We have lots of books, and they’re really important, but we have so much more. Not all the ideas put forward have come off, but there are only so many hours. While entry is free for the Harris library event, Victoria jokes that visitors are encouraged to bring ‘galleons, credits and gold coins to trade’. It probably makes more sense to take real money though. There will be stalls from indie vendors such as Styx and Harlequins, chains like Game, Waterstone’s and That Comic Shop, authors and artists selling their wares, and a programme of special events. That includes talks from Mecha Man, digging deep into the science of superheroes, a seminar and Q&A on how to get started with costuming, and much more. In short, there’s plenty for Victoria, her fellow library staff and Hijackers to get their teeth into. And she can’t wait. “It’s a dream to be able to get involved in something like this. When we started we didn’t think it would be anywhere near as big. “As Jess, Gary and I were setting up tables at three o’clock on the day last year, we were thinking barely anyone would turn up. 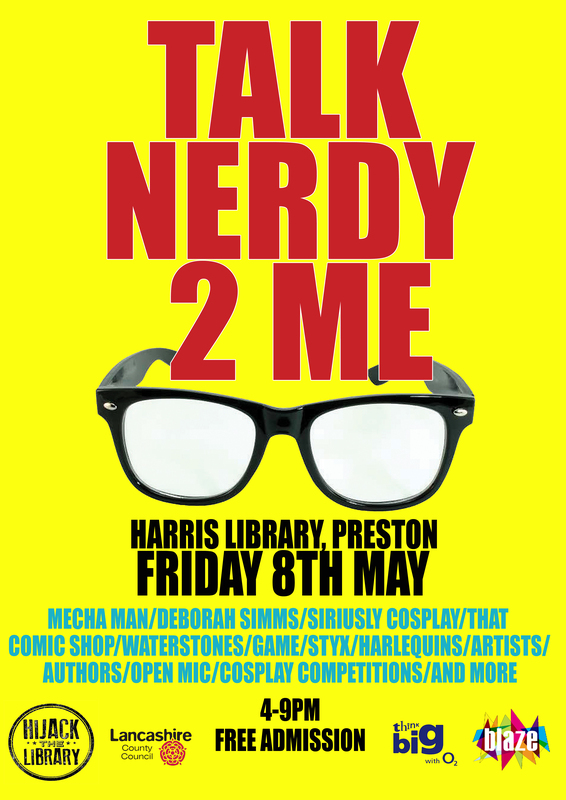 Talk Nerdy 2 Me is a free event and takes place at Preston’s Harris Museum and Art Gallery library from 4pm until 9pm on Friday, May 8. For more details check out the event’s Facebook, Instagram and Twitter pages. This is a revised version of a Malcolm Wyatt feature for the Lancashire Evening Post, published on April 30th, 2015. * Thanks to my eldest daughter for the John Green quote. All I did was mention nerdiness, and she was straight in there with that one. This entry was posted in Books Films, TV & Radio and tagged Deborah Simms, Harris Museum & Art Gallery, JS Collyer, lancashire, Libraries, Preston, Talk Nerdy 2 Me, Talk Nerdy To Me, The Great British Sewing Bee, UCLan, Victoria Todd. Bookmark the permalink.